September 9th and 10th was last race of the 2017 Championship Enduro Series. Gingerman Raceway is also the venue for the 2016 CES Banquet where Jason received his trophy for 2nd place in last years Animal Junior class. The 2016 visit was the last time my Dad was healthy enough to travel to a race. It made for a bittersweet weekend with lots of fun memories from last year and made some new ones him missing his presence. He is the reason Jason started racing otherwise I would have been trying to figure out how to coach some sport with a ball, stick, or something and be totally lost. This weekend was yet another, struggle with motors at least these did not seem to be self inflicted. The Briggs Animal motor is tough and reliable but sometimes race motors can be baffling and subject to mysterious ailments and failures. The motor on the sprint kart oil fouled another plug and we swapped that it out for freshly built spare for Saturday’s racing. The fresh motor ran great and Saturday Jason finished 10th and 10th, starting in 13th with no starting gap in the sprint kart. 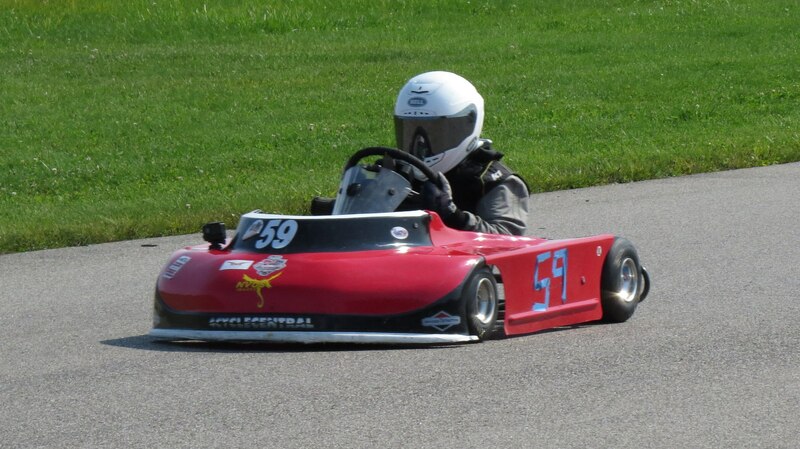 Things in the road kart were getting better, but not good enough, still tuning tire pressure and gearing. He finished 2nd but not as far back as previous races. In an effort to put together the best road kart we could for Sunday’s race on Saturday night we swapped motors between the karts, to put the fresher motor on the road kart. Sunday’s practice validated this was the correct move. 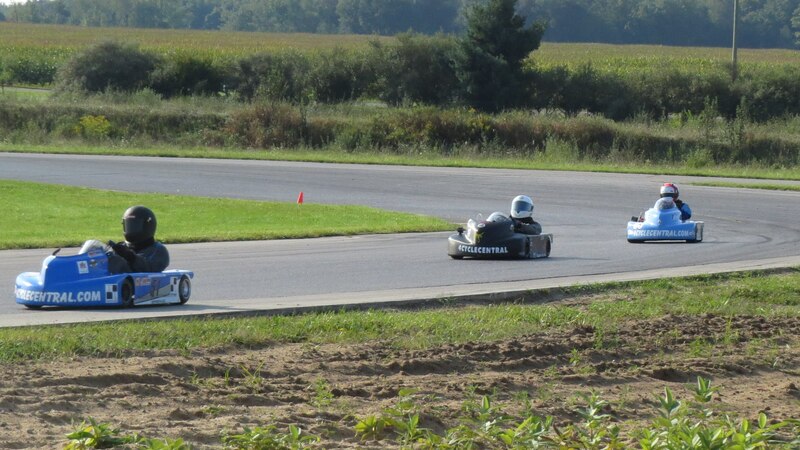 The kart started fast and got faster as we adjusted setup. However, despite the speed, the motor was burping/cutting out during the final practice, this did not bode well for the race. I went through the carb and eventually ended up just swapping in different carb and crossed my fingers for the race. The sprint race he finished 10th and 8th again starting 13th with no gap. He managed to avoid a big wreck in front of him with some smart driving in the final corner of the last race. He saw the drivers just ahead of him were going to wreck nearly two turns before they did. The road race started off poorly, he managed to stick to the heals of the leader and was keeping pace as the approached slower traffic. The leader passed traffic quick and clean while Jason got stuck behind and a good gap developed between him and the leader. He pushed hard and was catching when the leaders kart suddenly lost power and pulled off. This put Jason in the lead. Unfortunately, after a few laps Jason pulled in complaining of sputtering. Deciding to not risk damaging the motor we retired the kart for the day. It was not our great moment of victory but we had some fun chasing it. Now we need to figure out what is going on with the motor, for ext weekend. At this point we only have one good motor and two karts to race to complete the rest of the season. The Championship Enduro Series season is over and Jason is the 2017 Animal Junior Champion and the Sprint Junior Champion. 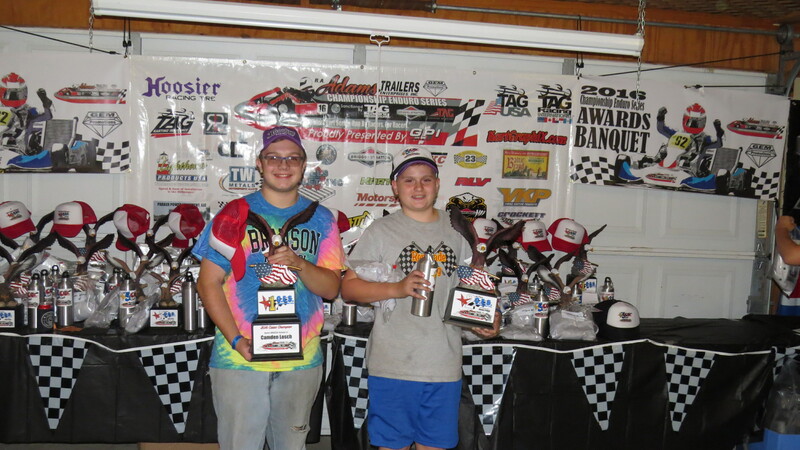 The Wild Duck Racing team will be heading back to Michigan next weekend for the second Michigan International Raceway race with the Michigan Kart Club and the penultimate Dart Kart Club race. Jason is the current leader in Animal Junior and 2nd in Sprint Junior, he could move into first if we can put together some good runs. 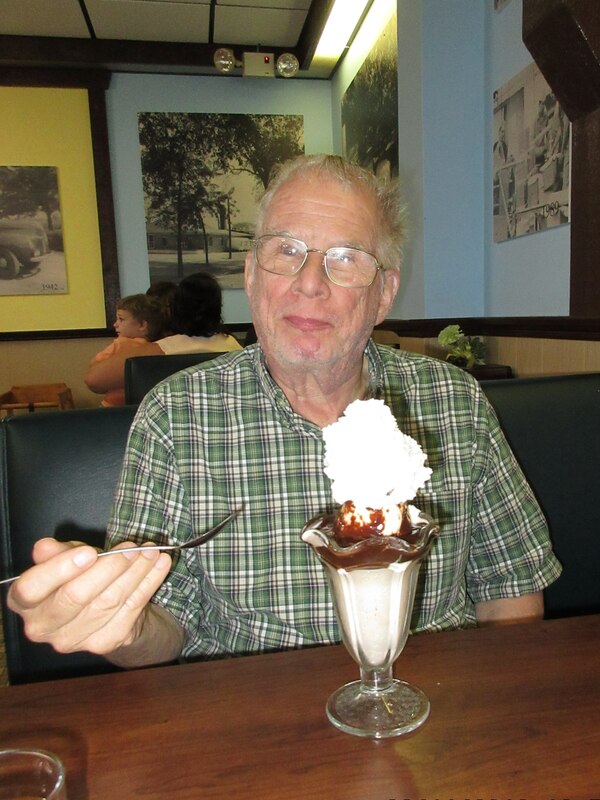 Remembering Joe Pribyl, without whom this would have never been possible.